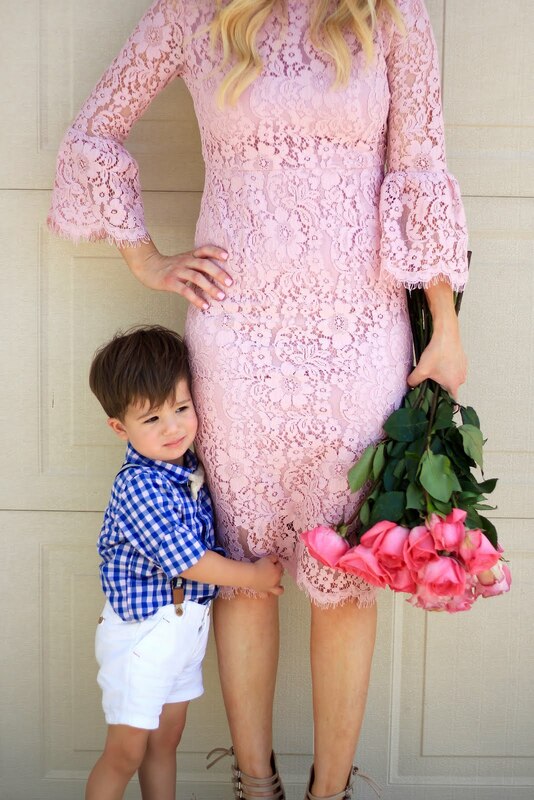 Here are our outfits we wore for Mother's Day. Sorry about the bad quality and lightening. We were out celebrating with family and between naps this was the only second we had to grab a few quick photos. However, some of these photos of me and Hudson are my absolute favorite. This dress is sold out (insert crying emoji here) but none of her dresses will disappoint!